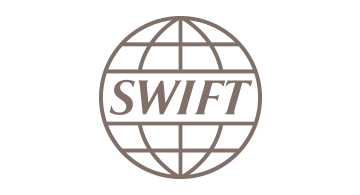 SWIFT is a member-owned cooperative and the world's leading provider of secure financial messaging services. Our messaging platform, products and services connect more than 11,000 banking and securities organizations, market infrastructures and corporate customers in more than 200 countries and territories, enabling them to communicate securely and exchange standardized financial messages in a reliable way. As their trusted provider, we facilitate global and local financial flows, support trade and commerce all around the world; we relentlessly pursue operational excellence and continually seek ways to lower costs, reduce risks and eliminate operational inefficiencies. SWIFT is at the forefront of innovative application of technology within the financial sector. We embrace the exciting potential of new technologies; are committed to maintaining a market-leading platform and to delivering innovative technological solutions. SWIFT also brings the financial community together – at global, regional and local levels – to shape market practice, define standards and debate issues of mutual interest or concern. Headquartered in Belgium, SWIFT's global office network ensures an active presence in all the major financial centers.